Sometimes I like a good stir fry. 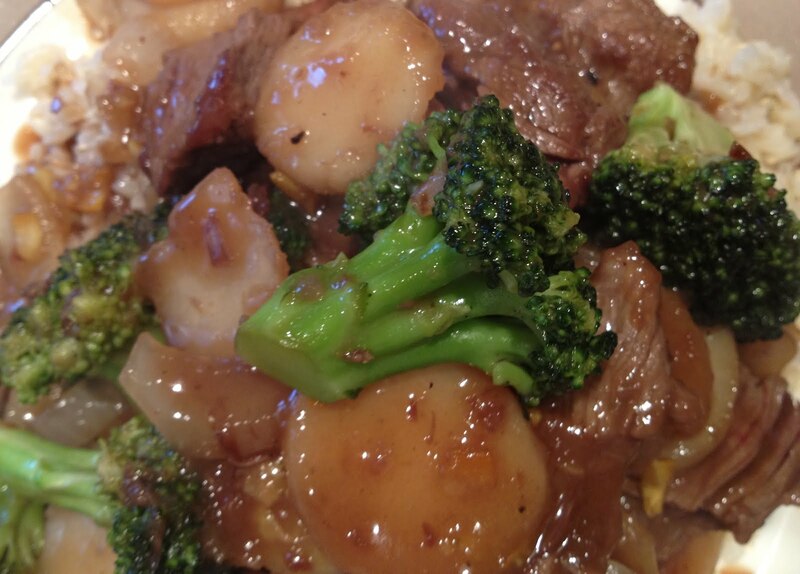 We made a delicious Orange Beef and Broccoli recipe the other night and it came out great so I thought I would share. We very loosely based our recipe on what I have below, but also added water chestnuts for a crispy bite and served over brown rice. Combine broth, marmalade, soy sauce, and salt in a small bowl, stirring with a whisk; set aside. Place cornstarch in a shallow dish. Dredge steak in cornstarch. Heat a large nonstick skillet over medium-high heat. Coat pan with olive oil. Add steak; sauté 5 minutes or until browned on all sides. Add broth mixture; cook 1 minute or until thick. Stir in broccoli (and 1 can of drained water chestnuts). Serve immediately (over brown rice).